Following the success of Korea Rocks last year, indie groups Asian Chairshot, PATiENTS and Dead Buttons are set to perform at next month’s Liverpool Sound City, followed by a tour of the UK. Check out a little bit about the bands, and the dates and venues they’ll be performing. Sample a song from their latest EP ‘Mask’. Since then they’ve performed at the likes of Singapore’s Baybeats Festival and Korea’s Ansan Valley Rock Festival. Their latest EP ‘Mask’ grabbed them second prize at the ‘Hello Rookie’ finals, a contest to showcase the up and coming talents of Korea. Punk band PATiENTS started off as a four membered punk group in Seoul in 2005, their debut EP soon landing them a place as one of the leaders of the local underground punk scene. In 2007 they became a trio and the following year played their first international gig at the Japan/Korea Oi! Punk Festival in Nakano, Japan. With the creation of their own label Steel Face Records in 2010, the trio then expanded their musical palette with the release of their 2011 ‘Kitsch Space’ album. The album saw punk and rock with an edge of new wave and pop, which the PATiENTS then dubbed ‘hybrid punk’. Their new genre was greeted with praise and landed them a place in the Hello Rookie finals. The following Summer saw them performing at the Incheon Pentaport Rock Festival, one of Korea’s top music festivals. Later that year they parted ways with guitarist Junmyong Baek, and instead of bringing in a new guitarist they invited keyboardist Hyukjang Kwon to the band, taking their music in another new direction. 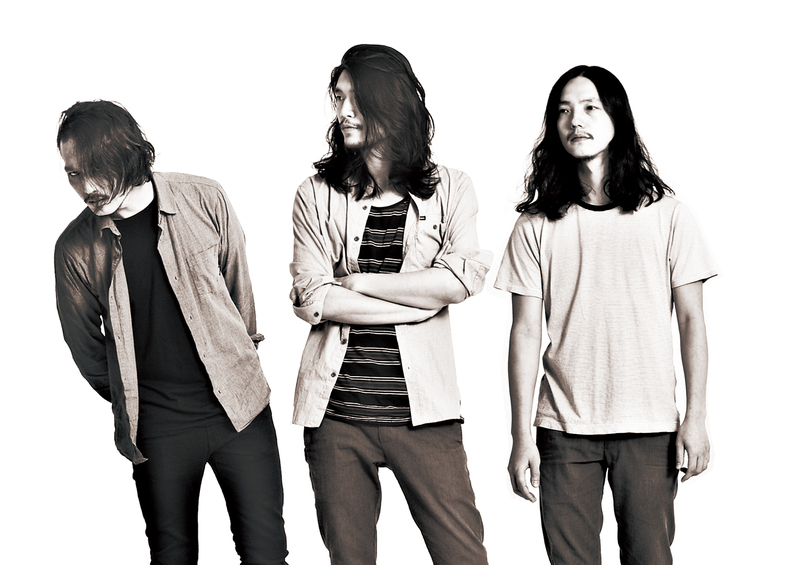 Though in many cases, change may ruin a dynamic, Kwon’s addition brought in a new edge to the group and their ever evolving ‘hybrid punk’ sound. They’re currently working on a five song EP to be released soon, and the material is to be showcased during their tour in the UK. Dead Buttons is a rock duo comprised of Korean guitarist and vocalist Jihyun Hong and Paraguayan/Korean drummer and vocalist Kanghee Lee, like the others, they’re also Seoul based. Hong is a veteran of Korea’s indie scene, having previously played in the punk bands Sweet Guerillaz and Oi! Resolute, along with the psychedelic and pop edged garage rock band The Infamous Orchestra, he also currently plays in Combative Post. Hong and Lee decided to form Dead Buttons together after Lee had finished his mandatory military service. Originally the band formed as a trio in 2012, and an ambitious trio at that. Only two months after their live debut, the trio trekked it to Japan to perform at Tokyo’s Japan-Korea Punk Festival. The following summer their bassist left and the duo scrapped all previous material and started again as Dead Buttons, the duo. The band’s early material was more garage punk, but their first EP as a duo ‘Whoever You Are’, released February this year, boasts a wider range of genres. The EP mixes garage rock, blues, country and psychedelic music, in an usual yet infectious blend that showcases the potential of the up-and-coming pair.